When Satan came to Eve in the Garden of Eden, he deceived her into believing that she could not trust God. It was unfair for Him to forbid the single fruit. Why would the Lord take away the pleasure of the tree of knowledge from her? Convincing the woman that she had the power to go beyond the will of God sin entered the world because of the folly of not trusting in the power of the Lord. Rejecting the will of God has always been about trust. Man believes that he can save himself. His wisdom is greater than anything his Creator commands because it fits his pleasure. The might of man’s creative power will save him and deliver him from any trouble. Man has the knowledge to overpower, overcome and conquer anything. Or so he thinks. In the days of Isaiah, the plague of man’s folly was ripe in the land. Israel believed in the power of itself and the deliverance from danger would come from Egypt. How ironic to believe that deliverance would come from the same nation their ancestors had been enslaved by for more than four hundred years. The exodus from Egypt came by the powerful hand of God, not the people. The Red Sea parted through the power of God, not the people. They were fed, nourished and clothed by the hand of the Lord those forty years, not the people. Canaan was subdued through the might of the hand of God, not the people. Now as danger approaches the people flee to Egypt for deliverance because the Egyptians have a massive army of horses, chariots and men. Folly. Isaiah is pleading with the people to look to the Holy One of Israel for help. The nation does not hear and reliance on the Egyptians meets with disaster. It is not because of a man-made victory that gives Assyria victory but the hand of God that punishes the wickedness of man. Deliverance cannot come from man. He cannot save himself. His great power is nothing before the hand of God. When the will of the Lord is finished the one who helps and the one who is helped will be destroyed because they do not believe in the power of God. Man saving man is ruin. Trust is the core of our relationship with the Lord. The question is whether we are willing to allow God to rule in our lives or whether we only allow Him to help us when we think we may need some extra help. 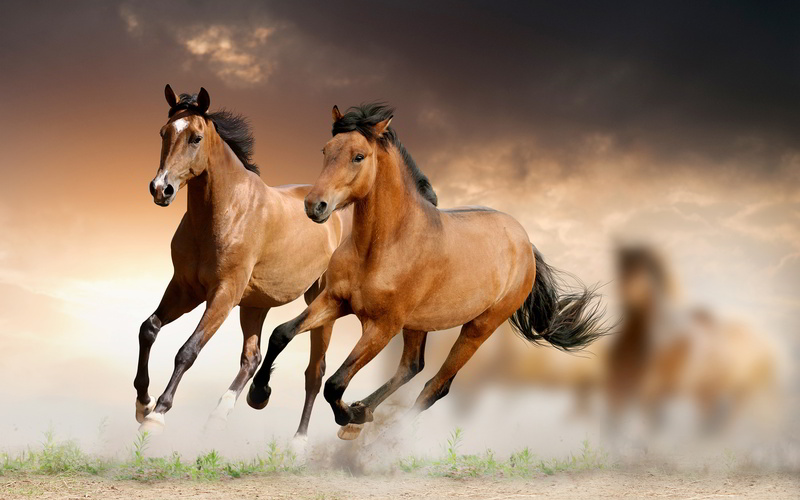 There are a lot of horses and chariots we trust in to give us happiness and peace. All these worldly possessions are like a security blanket that we believe will give us what we want. Pleasure is the opium of the flesh yearning for fulfillment in what we desire. None of these gives lasting worth because like the Egyptians, we are mere men and our seductions are fleshly and empty. God is still the Holy One of His people and He is still the Almighty. He will never fail to accomplish His will. His word has never returned void. The affairs of men are governed by His hand. The earth began by His word, it is established by the same word and through the power of His word, the universe will end. Is there anything man can do that is greater than that? Trusting God in my life is giving him free rein in everything I do because He is so great, so powerful and so loving.